Hello there! I'm squeezing in a "Christmas in July" project. ;-) (Just under the wire aren't I?) Seeing Tim Holtz share all his new Christmas dies that are coming out inspired me. 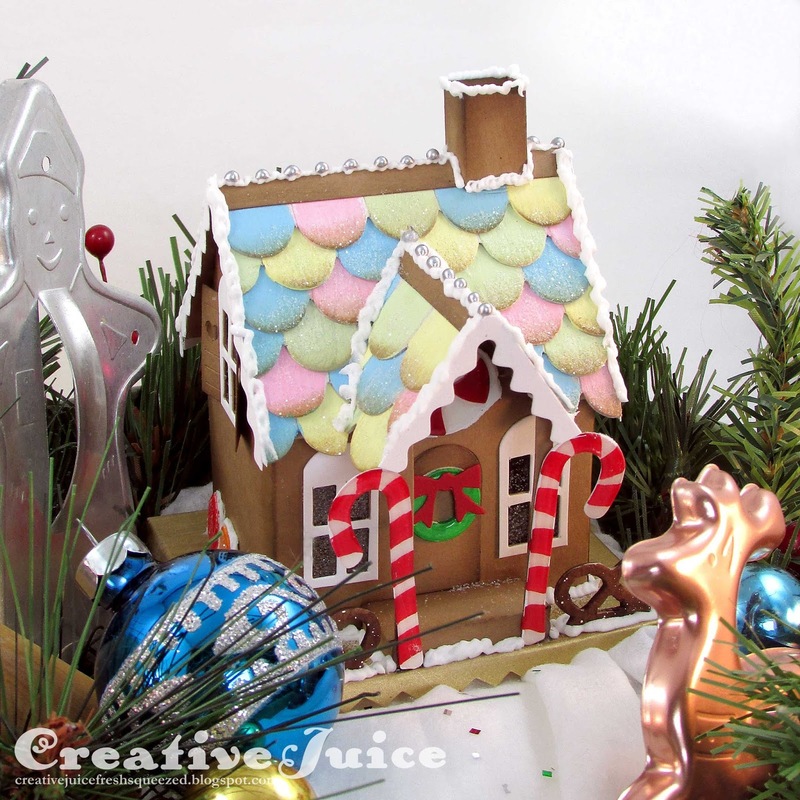 His Village Die Series is a favorite of mine so I got in the Christmas spirit in spite of the heat and made this little gingerbread house decor piece. 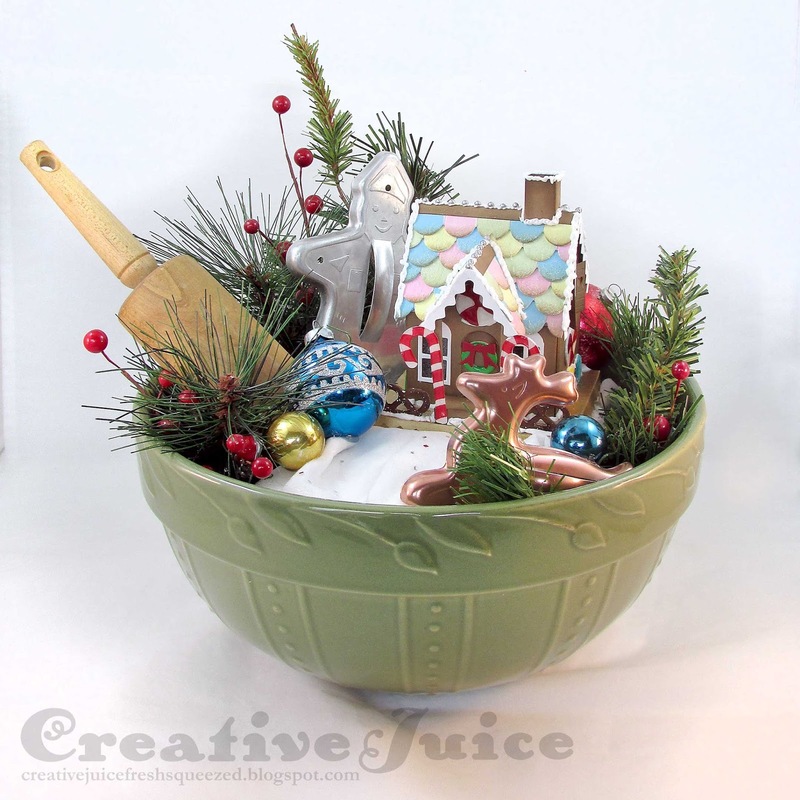 The bowl, vintage cookie cutters, ornaments and rolling pins are all from my thrifted/garage sale stash. I will make more of these bowls because I have quite a stash of stuff to use ha ha. Thanks for stopping by and it really isn't too early to work on Christmas projects. Maybe it would make you feel cooler.